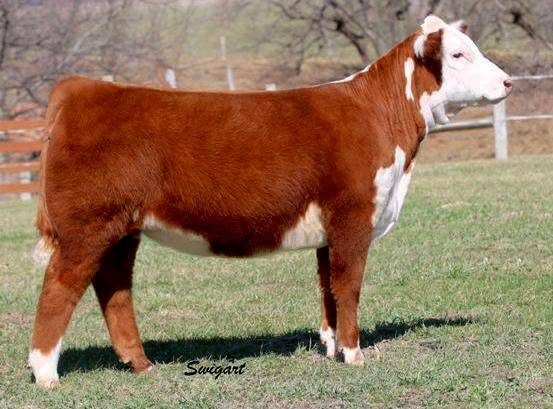 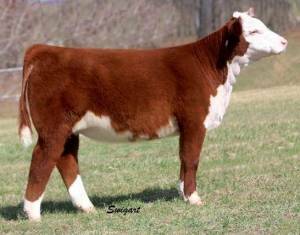 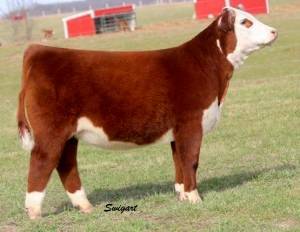 190Z is a homozygous polled bull that topped the 2014 NJW Polled Herefords Sale. 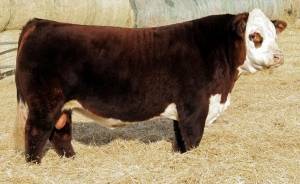 He is an elite son of the National Western Stock Show Supreme Champion, Trust, out of one of the best cows in the breed, 78P. He is commanding, eye-catching and powerful, yet smooth and clean in his lines. From behind, he is very wide and expressive with as much color and pigment as you will find.